Turn the dial in the arrow direction until the triangular mark corresponds with the present time. Push down the required segments after the present time. Each segment represents 30mins. 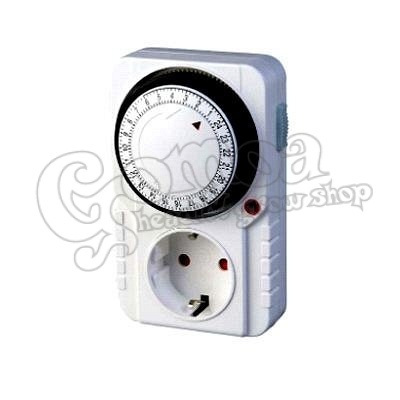 Plug in socket and connect timer with electrical appliance.